Paris is the capital of romance, culture, food, wine, jazz…in fact, just about anything you can do with style! You can go online and reserve your Paris motorhome rental or campervan hire before you travel; then pick up the keys from your Paris motorhome hire, campervan rentals and recreational vehicle (RV) hire branch on arrival. Take some time to explore the city by foot; Paris has it’s own certain charm that can only be experienced by living a day-in-the-life, taking in cafes, shops, delicious restaurants and evening streets. If it is your first time in Paris, a visit to the Eiffel Tower or Louvre Museum surely lives up to the hype. Spend couple of days in the city and take one of them at the Palace of Versailles. History was made inside its walls several times; one of the most famous (or, infamous) being the signing of the Treaty of Versailles at the end of World War 1 in the Hall of Mirrors; this treaty eventually precipitated World War 2. Just outside of Paris is the intriguing Tours, where Joan of Arc had her armour made. 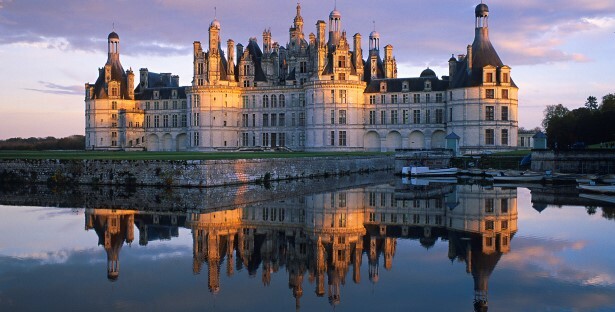 You are in the Loire Valley, known for its sparkling wines but also its medieval and renaissance châteaux’s and beautiful scenery. A highlight is the châteaux at Saumur, with its equestrian display. Arriving to Nantes, visit the Jules Verne Museum, Les Machines de l’Ile, and take in a classic cabaret, as well as cathedrals and architecture. This is a nice trip to make if you have just a week to travel. Spend a couple of days in Paris, then arrive to Marseille in four days – though you could easily linger along the way. Leaving Paris behind, reach Lyon with a stop-off in Beaune. Lyon is the largest Renaissance area in Europe and a UNESCO World Heritage Site. Spend a full day exploring its sights and sounds. Then tear yourself away to make the final leg of your journey to Marseille. The drive is short and uneventful. Make a stop at Avignon to see the world’s largest Gothic building, Le Palais des Papes. You must have “La Bouillabaisse de Marseille” (fish stew) for dinner on arrival to the city. No matter what your final destination on your Paris motorhome rental road trip, most Paris campervan rental and motorhome hire agents will allow you to return your RV rental to Paris, another major French city location or a one way rentals in Europe to another country. There are holiday parks and caravan and camping sites that will accept motorhomes, campervans and recreational vehicles with truly amazing locations and facilities throughout Paris and France beyond.